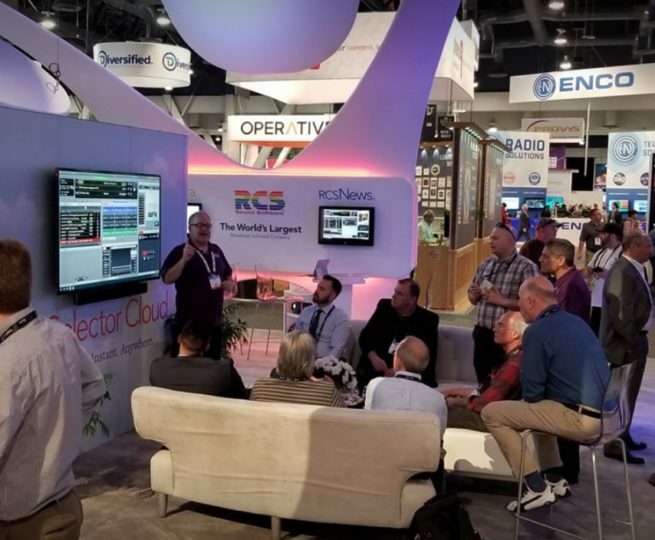 The NAB Show in Las Vegas has finally come to an end and it’s safe to say that we at RCS had a wonderful and busy week! 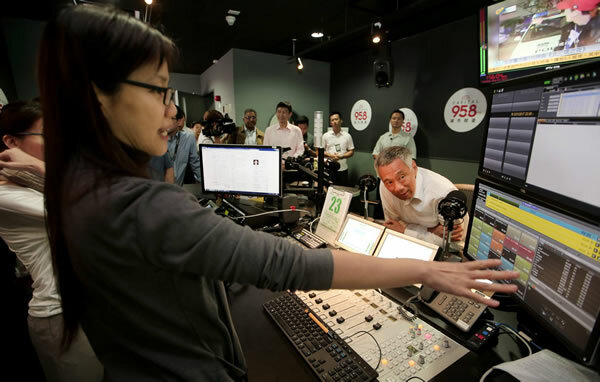 On the first day, we had fellow participants and radio enthusiasts visit our booth and learn about our award-winning broadcast software. On the second day, we were fortunate enough to have the people at NAB interview our Senior Director of Marketing, Diana Stokey about our work. But our day of mingling and interviewing didn’t end there as RCS then hosted its very own Happy Hour. 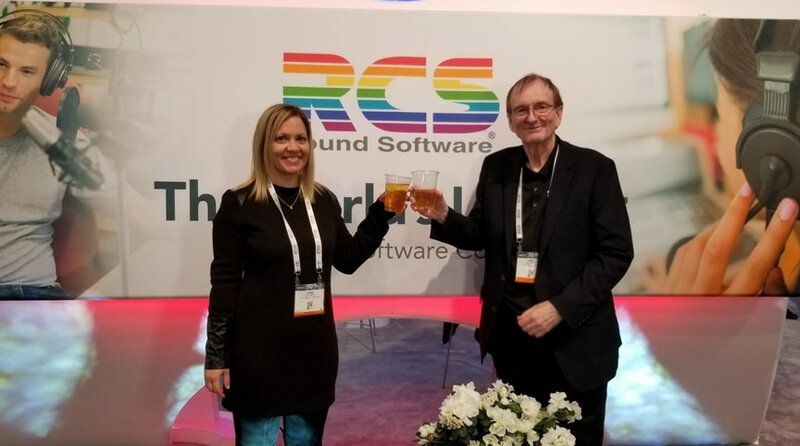 Here’s RCS’s Senior Director of Marketing, Diana Stokey, with Senior Vice President International Operations & Chief Compliance Officer, Mike Powell, below, toasting to the success of Day #2! The free drinks weren’t the only attraction at our booth – some of our key players were there and the RCS crew was out in full force – from left to right: Mike Powell, SVP International Operations and Chief Compliance Officer; Philippe Generali, President & CEO; Sven Andrae, VP Europe & MENA. 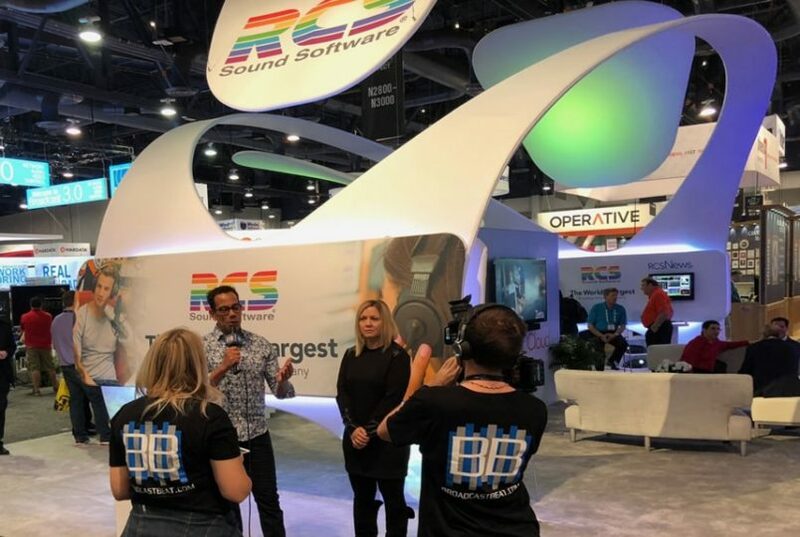 As shown, we had quite a week and we’re proud of this strong presence – not only to look forward and meet with other key innovators in the industry, but also to remember where we came from, as next year marks the 40th anniversary of RCS’s legendary music scheduler, Selector. In this way, NAB was the perfect places for RCS to simultaneously honor our legacy and future and we look forward to hopefully participating again next year. 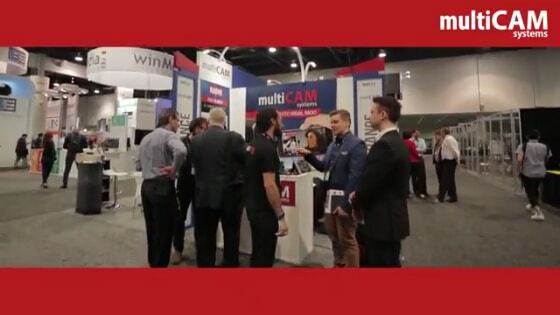 Multicam Systems allows radios to make incredible #VisualRadio shows. 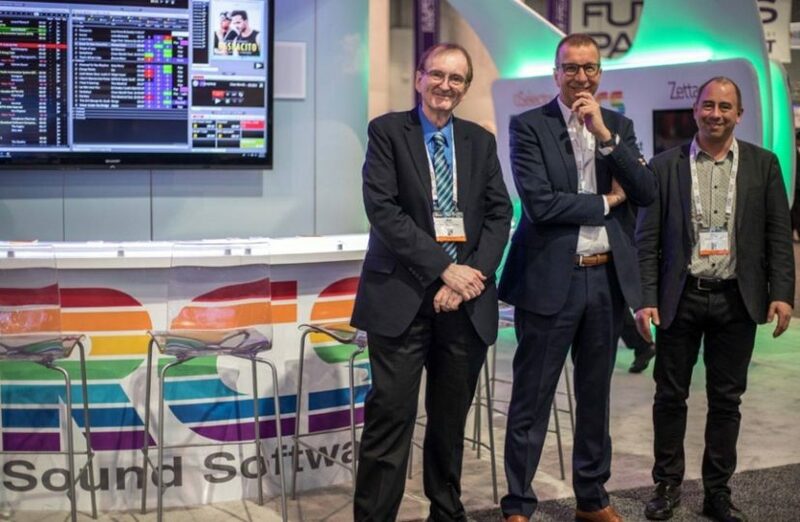 Thanks to our partners RCS Sound Software and Wheatstone Corporation for the great collaboration!